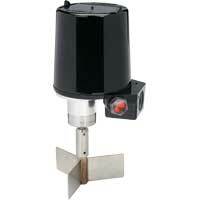 Position Indicators/Switches/Transmitters which features a magnetic coupling and has a flexible design. Weatherproof, explosion-proof, and submersible. 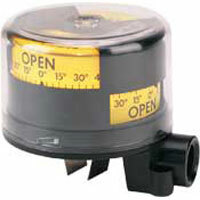 QUICK-VIEW® Valve Position Indicator/Switch is produced from Proximity with up to four individual mechanical or proximity switches. Available with optional backlighting. 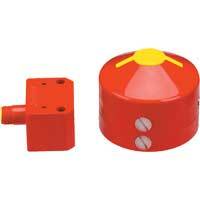 Detector Position Sensor is reliable, magnetically actuated, SS, completely interchangeable with competitive units. AC or DC for user friendly operation. 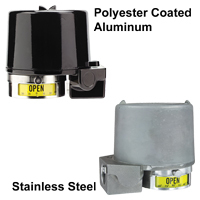 Excellent for hazardous and corrosive environments. 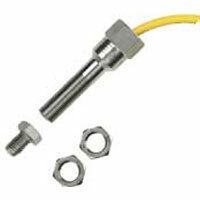 Valve Position Sensor can be easily mounted on top of the sensor and target. Solid state components are fully embedded in an epoxy resin to prevent condensation build-up and to protect against vibration and shock. Valve Position Transmitter is an ideal way track position of valve. Suits a wide variety of applications. 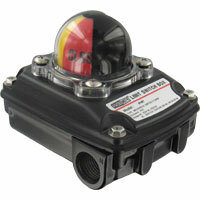 LCD display allows the operator to monitor precise position of valve. What two types of continuous signal feed back can Proximity provide with the position indicator? Resistive (potentiometer) and current (transmitter).